We would like to invite you to visit us at exhibition Empack Stockholm 2016, which will take place in Stockholm, Sweden from 5-6 October. 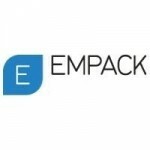 Empack Stockholm 2016 is the largest trade fair in the Nordic region for packaging technologies, materials and services related to the packaging industry. As the most important meeting place for the industry the trade fair stands for ideas, innovations, solutions, contacts and business along the process chain packing. Empack Stockholm 2016 brings national and international suppliers into face-to-face contact with buyers top packaging consumer regions. Come and visit us at Booth A05 to explore our unique range of packaging solutions and find out what makes Technobox a powerful and reliable partner for the future.